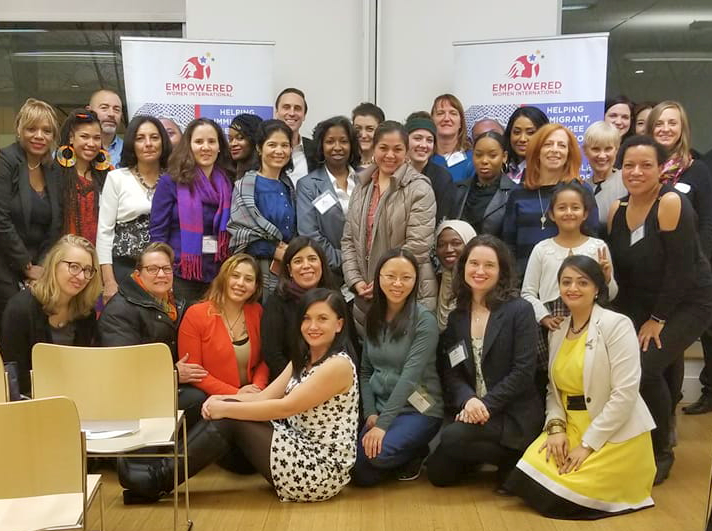 I was honored to serve as a Judge at Empowered Women International’s Business Pitch event. When I see this picture, I don’t see women. I see intelligent, passionate entrepreneurs with a strong desire to make the world a better place. The fact that they are women makes them that much more courageous. Feminism is based upon the belief that women deserve to be equal to men. Equal. Not above, but EQUAL. Is that too much to ask? It’s mind blowing that this is even an issue. The recent wave of reported sexual assault incidents has been absolutely heartbreaking. But it’s been revealing. We’ve exposed how sexism runs rampant through our daily lives and controls entire industries. I’m lucky to be married to an incredibly strong and hard-working businesswoman. The discrimination and derogatory comments she’s been subjected to have been shocking and devastating. As a man, it can be difficult to realize this even exists. But with this knowledge, it allows us to learn and grow. I have faith that our generation will bring about the change needed to level the playing field. We have a responsibility to treat all individuals fairly, but also to correct our failings as a society. We must respect others, not according to their gender, but for the content of their character.